Michel Reybier knows how to live the good life. The Frenchman’s portfolio includes acclaimed vineyards in Bordeaux, Hungary, and Champagne, as well as the ultra-luxe La Réserve group of hotels. Reybier’s latest project brings his unique brand of discreet luxury—a subtle but distinctive blend of fine details and simple touches—to the legendary Swiss ski town of Zermatt. Reybier, already a partner to the Seiler family and its Mont Cervin Palace and Monte Rosa hotels, knows Zermatt well and saw an opportunity to reimagine the town’s iconic Schweizerhof hotel for the modern-day traveller. Designed in an Alpine-chalet style, Schweizerhof is a historic landmark situated on the Bahnhofstrasse, the resort’s car-free, main thoroughfare. After eight months of renovations, the hotel reopened December 21 with a completely fresh look and feel. 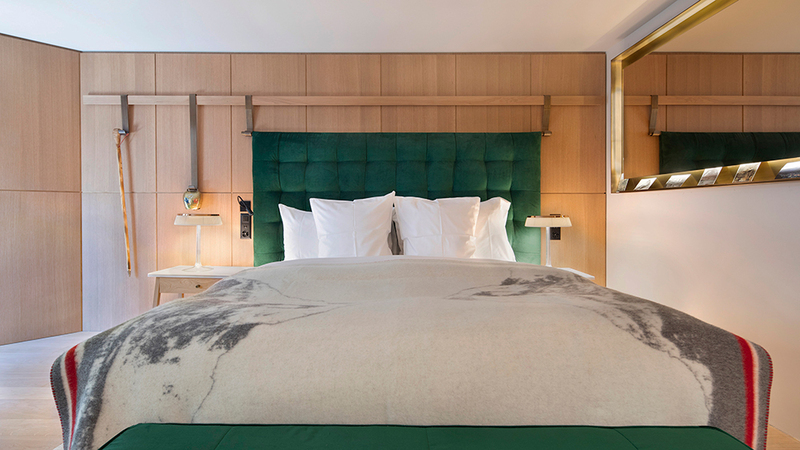 French-based design firm Kristian Gavoille & Valérie Garcia, specialists in what they call “new nomadic lifestyles,” is responsible for overhauling the 95 rooms and suites. Oak walls and marble bathrooms create a contrast of cosiness and elegance, and Swiss-inspired décor and amenities, including wooden hiking sticks, cow bells, and comforters emblazoned with the Matterhorn, add to the sense of place. Gastronomy is where the Schweizerhof shines, with five different dining venues. The signature restaurant is anchored by a spectacular open show kitchen that churns out refined comfort foods like truffle-spiked mac ‘n’ cheese, wood-fired pizzas, and an irresistible burger. La Muña brings the flavors of Peru to the Alps with a menu of creative ceviches. And even the most modern chalet must have fondue, a staple of the Valais region: At the Cheese Factory, nearly a dozen styles of fondue and raclette can be enjoyed to a soundtrack of Swiss folk music. 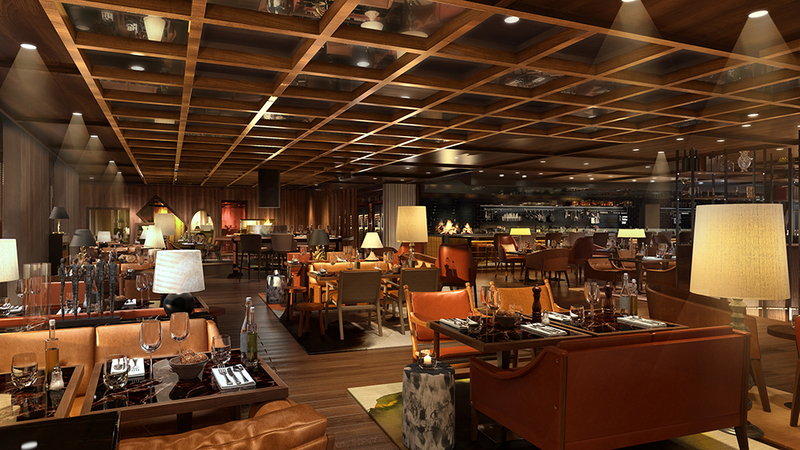 The Cocktail Bar is sure to be Zermatt’s hottest new scene for après and late-night. The enormous bar radiates a seductive golden glow and mixologists serve up both classic (Old Fashioneds and Negronis) and avant-garde (the Inception, a mix of gin, St-Germain, basil, lime juice, and ginger beer) cocktails. Guests who crave a low-key evening can retire to a rocking chair in the Fumoir and sip Cognac while browsing the deep selection of leather-bound books. The Swiss take post-ski wellness to another level and the Schweizerhof’s spa raises the bar with an indoor swimming pool, three saunas, a Turkish bath, and a high-tech fitness center staffed by personal trainers and yoga masters. Spa therapies will use Nescens-Swiss anti-aging products, a signature of the spas at La Réserve properties. With so many on-site indulgences, skiers may find it hard to actually get themselves onto the chairlift.